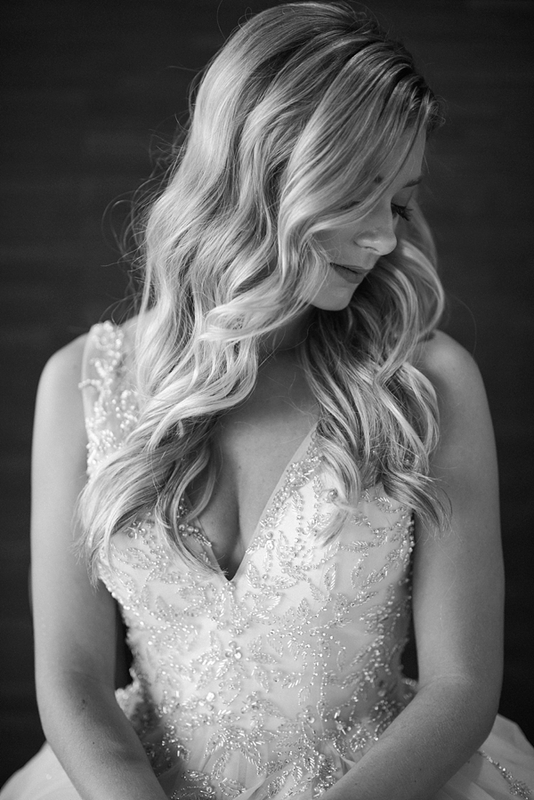 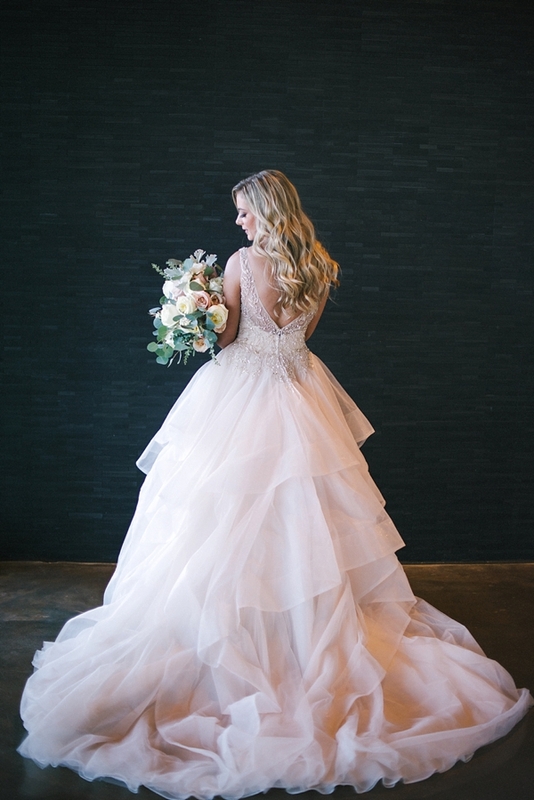 It took Ashley a few times to find her dream gown, and she certainly didn't imagine herself in a dramatic princess gown, but when you know, you know! 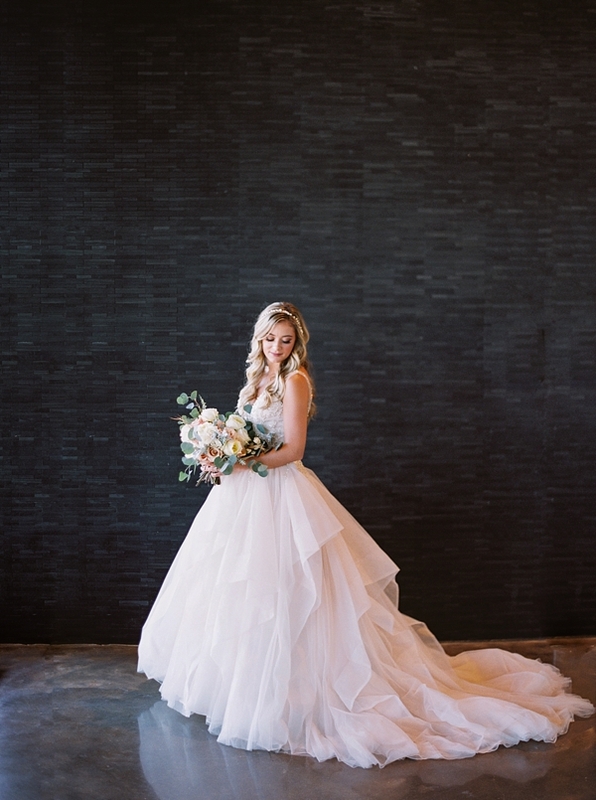 In a gorgeous organza gown in champagne, this modern bride knew she was meant to walk down the aisle in it the moment she stepped into it. 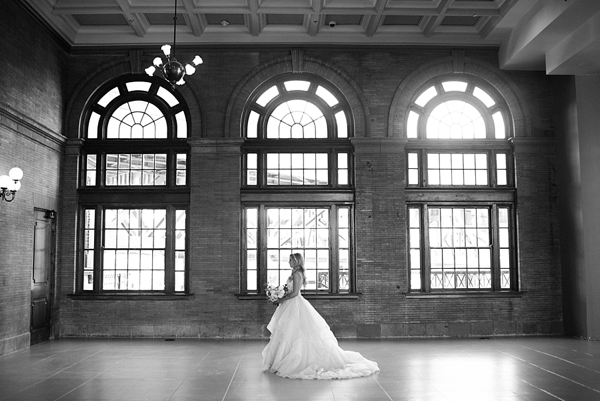 With a cascading ruffled ballgown skirt and timeless bodice embellished with rose gold crystals and pearls and a plunging illusion neckline and back, the Main Street Station in Richmond was the perfect industrial backdrop for this feminine gown masterpiece captured by Kim Stockwell Photography. 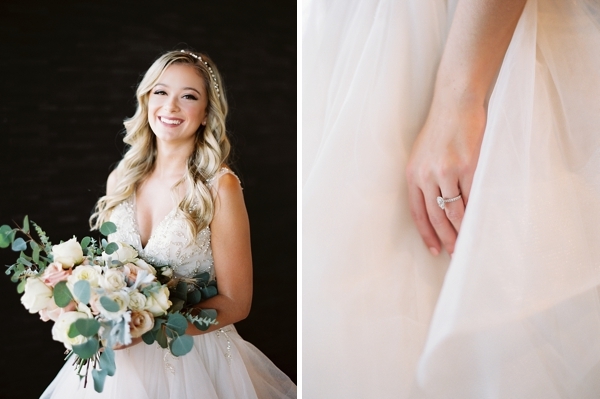 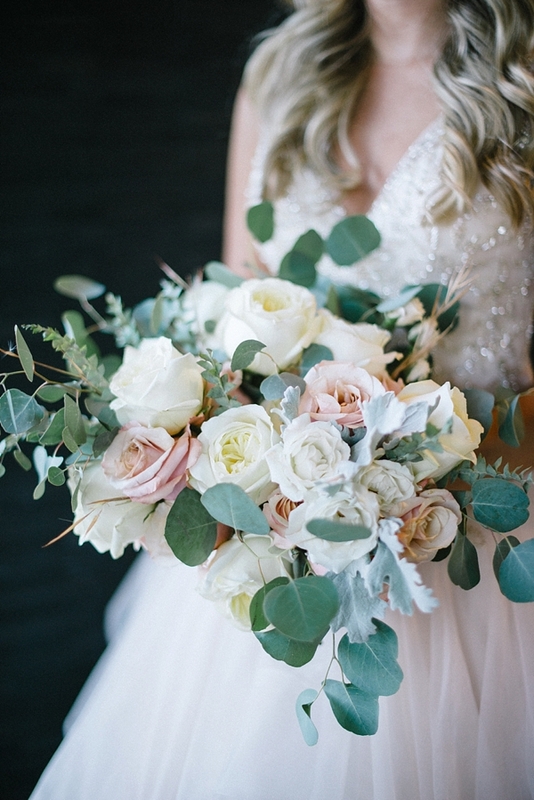 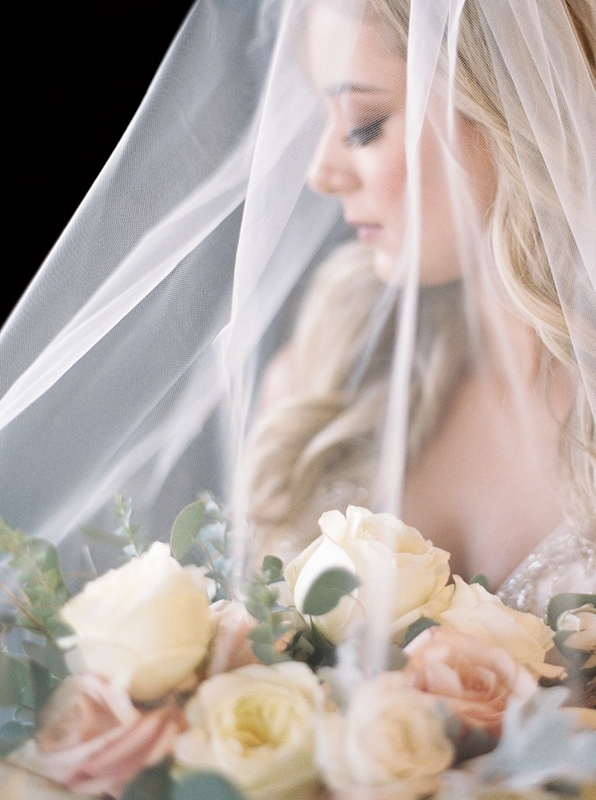 Juxtaposed against black subway tiles, her delicate elbow length veil and even rose gold headpiece shimmered and complemented Ashley's overflowing garden bouquet of roses, eucalyptus, and dusty miller.